ma è solo storia di vento e sabbia. back against the door, closed. but it's only a story about wind and sand. in Phoenician tremor, an icon. un selciato di lacrime e di gioia. Just one point, between limits of columns. the cobbles of tears and joy. 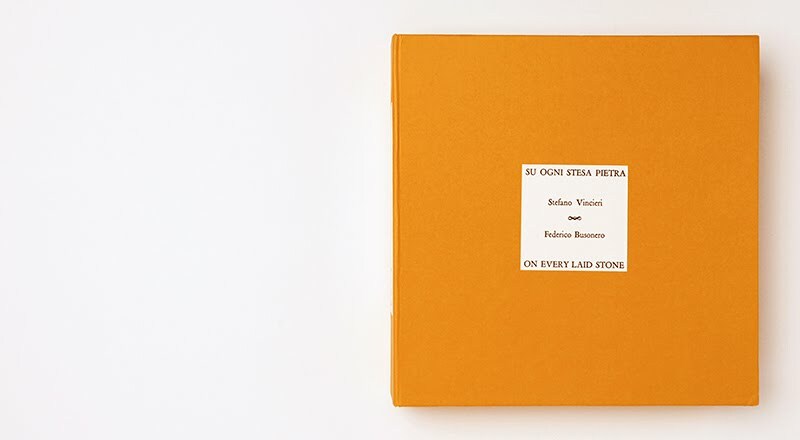 Su Ogni Stesa Pietra - On Every Laid Stone has been printed by F.lli Manfredi Studio, July 2017. Edition of 15 copies, each numbered and signed; 3 copies hc. 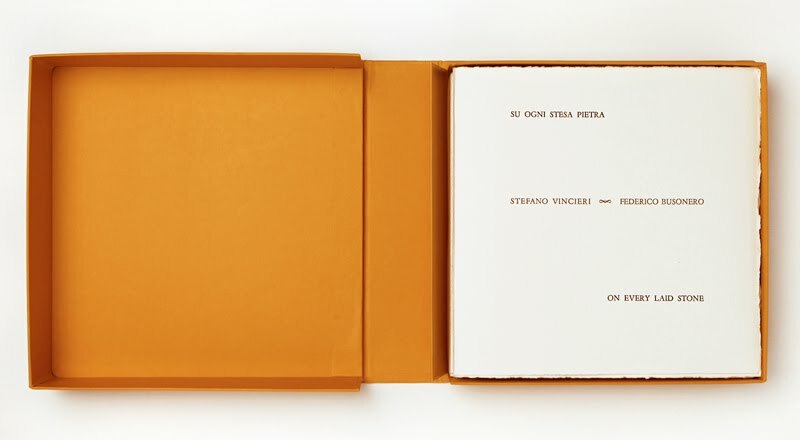 A collaboration between Stefano Vincieri and Federico Busonero, the portfolio contains fifteen poems and fifteen archival pigment prints. 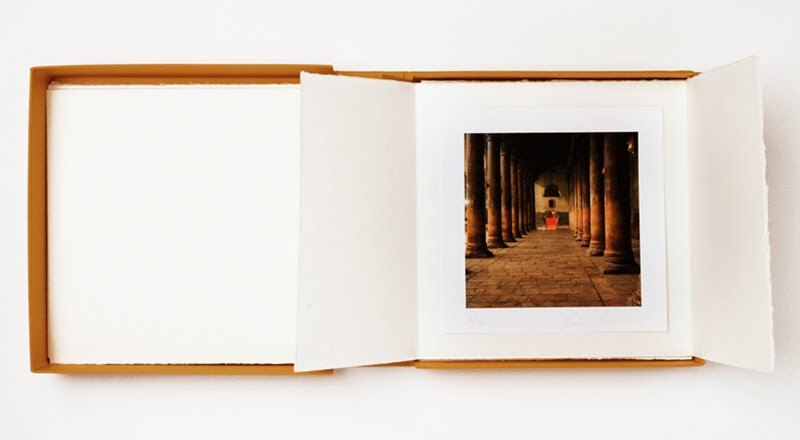 The texts of the poems and the preface by the poet and the photographer are hand-set in Garamond by Nicola Manfredi, in Reggio Emilia. 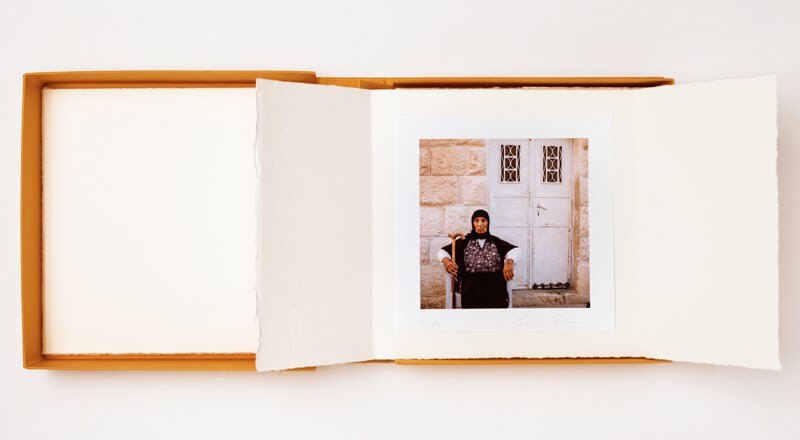 The fifteen photographs have been selected by the poet from the series The Land That Remains.